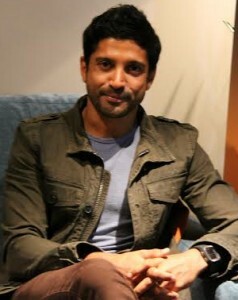 Bollywood actor, producer, director and singer, Farhan Akhtar will be attending the 17th annual Asian Achievers Awards, tying in with the theme of this year’s event, which centres around the fields of Media, Art and Culture. The awards will be held on Friday 22nd September and celebrate South Asian excellence at the Grosvenor House Hotel on Park Lane. Bollywood singer, actress and model, Raageshwari will join former Eastenders star Nitin Ganatra to host the glittering ceremony. This year, women have stormed the 17th annual Asian Achievers Awards nominees list, with 22 of the 36 shortlisted contenders being female. It is one of the few times that any awards event, Asian or otherwise, has women outnumbering male nominees. The nominees include, Vanita Patel MBE of Anti-Slavery International; England cricketer Haseeb Hameed; playwright, Tanika Gupta MBE; ground-breaking chemist, Sir Shankar Balasubramanian FRS and BBC journalist, Tina Daheley – full list below. Since launching, The Asian Achievers Awards has helped to raise millions of pounds for various charities and this year, the chosen charity partner is the Akshaya Patra Foundation, which works to eradicate classroom hunger and facilitate childhood education by serving freshly cooked, nourishing lunches to 1.6 million school children across India every day. The Asian Achievers Awards is proud to announce EY, a global leader in assurance, tax, transaction and advisory services, as its headline sponsor. Also sponsoring are Shanti Hospitality and Edwardian Hotels, with Colors TV on board as Media Partner.